A Lash lift is a procedure where you lift your own eyelashes and then set them with a perming solution from the root. The lift has evolved from the eyelash perm. They both use the same chemicals to change your natural lashes, however, where a perm would use a roller, a lift uses a silicon shield, that doesn’t curl your lashes, simply lifts them. 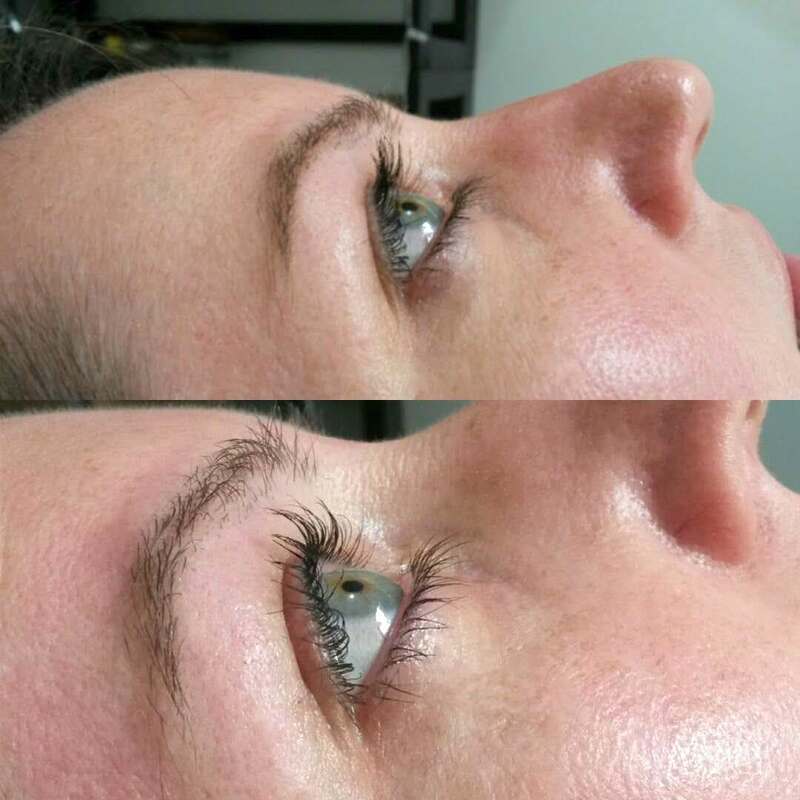 The lash lift is a more modern look from the over curled perm that used to be very popular, and there are different shields available depending on how dramatic a look you would like. This gives your lashes a longer, thicker, fuller look emphasizing this from the front as it makes your eyelashes more visible from that angle. The eyelash lift lasts around 4-6 weeks before your natural lashes grow out and fall out as normal. Your natural eyelashes grow for on average 3 to 6 weeks with resting stage of 3-4 months. This is a faster life-cycle than the hairs on your head, which is around 3-5 years. The treatment is recommended every 4-6 weeks because not all the growth cycles are in synchronization. This is ideal for swimmers or people who don’t want eyelash extensions or wear mascara daily. However repeat exposure to chemicals such as chlorine in the pool water or heat for spa treatments might cause the lift to drop prematurally. For some clients with fair natural eyelashes I would recommend booking an eyelash tint as well. This isn’t needed for everyone. Tint is available in black or brown depending on what look you are going for. To read more about tinting go to the tinting page on the menu. I use the brand salon system. There are loads of different brands available including LVL lashes, Lash fx, flirties and Lashbase. All the brands work on the same system of perming, setting and nurturing eyelashes. Different silicone eyelid shields available to create various lifts/ curls. Lizzie did a brilliant job on my eyelashes when she permed them. She was gentle and they were lifted for weeks! Highly recommend. Liz is a lovely, friendly and very professional beautician. She always makes me feel comfortable and relaxed. I’m always really happy with the end result and would recommend Liz without any hesitation.